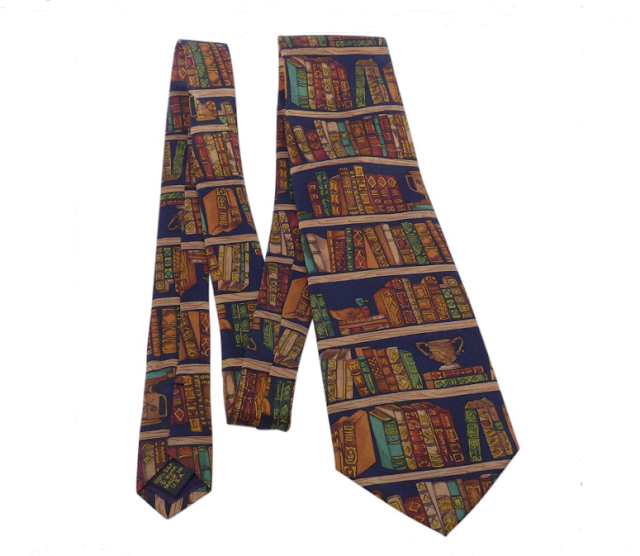 Finding the best Christmas gift ideas for book lovers can be a little challenging, so I'm happy to help. 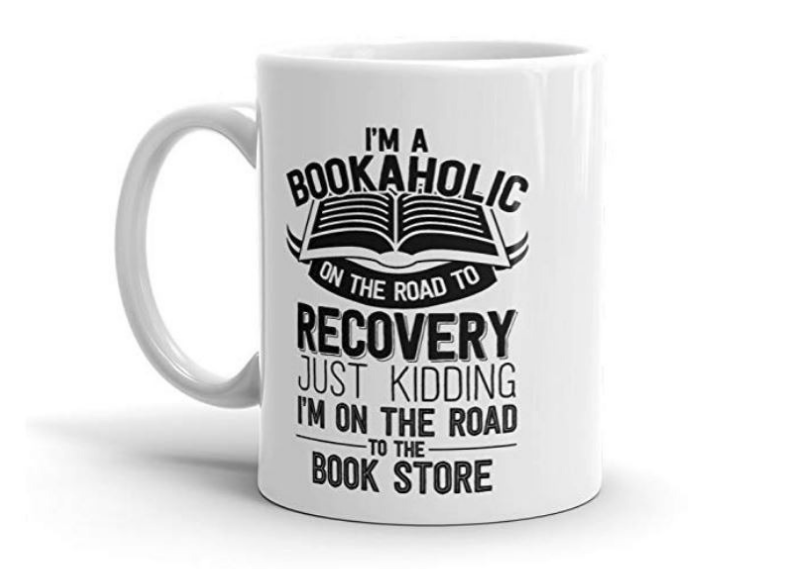 The book-related gifts below are a sure bet to bring a different kind of joy to the reader on your Christmas shopping list. 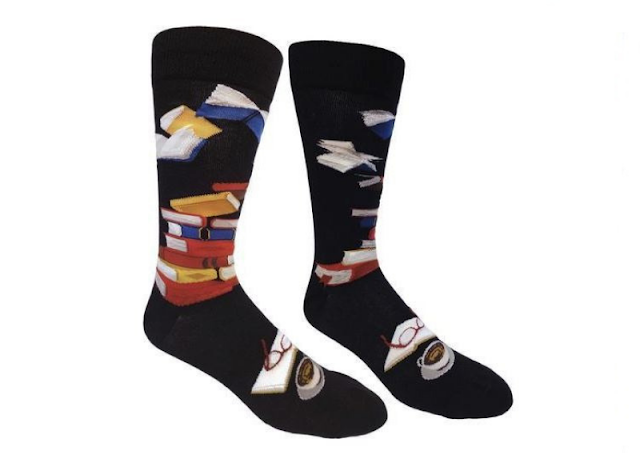 These socks are a unique and comfortable way for any bibliophile to show their love of books. Click here to buy from Amazon. This coffee mug tells it like it is. Click here to buy from Amazon. 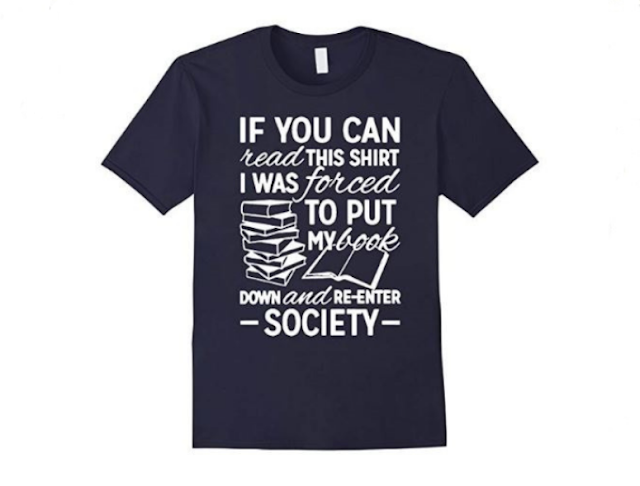 This shirt will let people know your priorities. Click here to buy from Amazon. 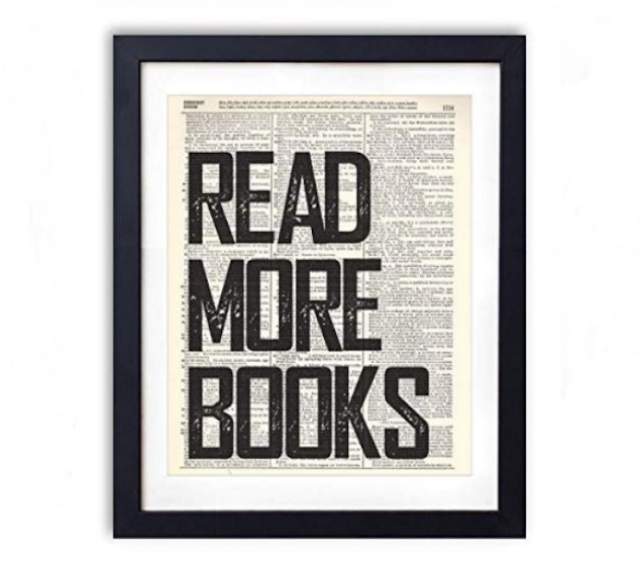 Vintage dictionary art prints will spruce up any book lover's library. (Heads up—the print does not come with a frame, but it fits standard 8 x 10 frames.) Click here to buy from Amazon. This silk necktie with array of golden brown books on a dark navy blue background is absolutely beautiful! Click here to buy from Amazon. 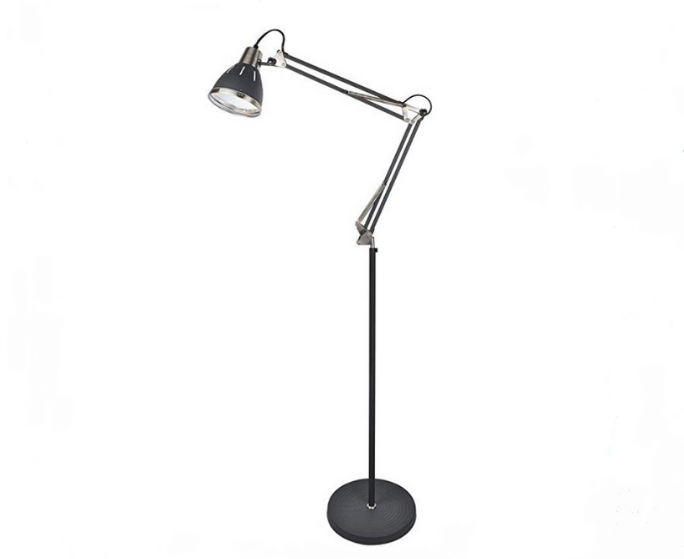 Show your favorite reader how much you care about good lighting (and good eye health) by giving them a reading lamp. Pictured here is a top-rated floor lamp at Amazon. Click here for details at Amazon.